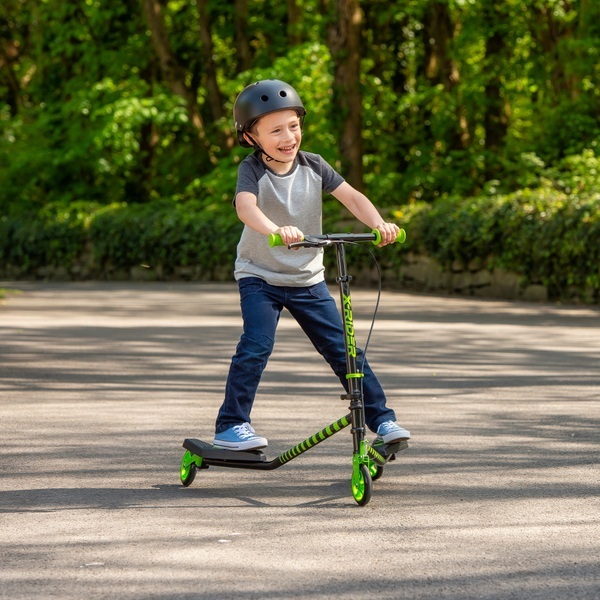 The Green X-Rider Scissor Scooter is an easy to use 3 wheel scooter. It’s simple to get around with this scissor scooter. Move yourself forward by opening and closing your two feet while standing on the foot plates. Great if you don’t want to have to push off the ground to get started. With it's height adjustable handle bars it can grow with your child. It features a handle bar brake system and anti-slip footplates to make it safe. It also folds for storage or easy transportation.